Balto, the great Alaska sled dog, has been dead since 1933. But he still stands larger-than-life on Dogdom's Mount Olympus, where the world's great canines are immortalized. Yet few people know Baltos true story. Only one small part has been told, and even it has been distorted. 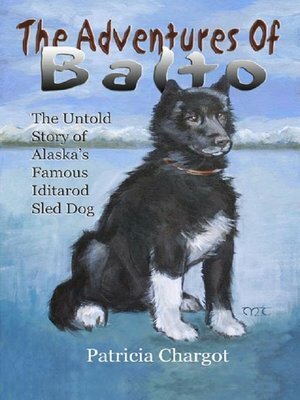 Several Balto books have been written. There's even a Balto animated movie, but it, too, is largely fiction. (Balto was NOT part wolf!) Like the books, the movie leaves off where this book begins ­— and tells the best part of the story. Balto was only three years old when he helped carry serum across Alaska from Nenana to Nome to save the town's children from diphtheria. As leader of the last dog team in the life-saving relay race, he became an overnight sensation — a BONEa fide international celebrity. But much more happened after that. Balto lived for eight more years. His days unfolded like a sled expedition to the North Pole, carrying him in an exhilarating rush over smooth snow one minute, an icy hummock the next. And how does the new story end? With a heart-thumping surprise that you can't imagine — and neither could have Balto. Hook up your harness, step into Balto's booties, and mush off to Balto's true story.